Former Celtic and Scotland striker Frank McAvennie believes that Rangers showed themselves lacking in class with their loud celebrations at Pittodrie after beating Aberdeen on Wednesday evening. Steven Gerrard's men scored a big win over Aberdeen to keep the gap between themselves and rivals Celtic to six points at the top of the Scottish Premiership table. Rangers celebrated the win loudly at Pittodrie in the dressing room and Aberdeen boss Derek McInnes told the visitors to keep the noise level down. 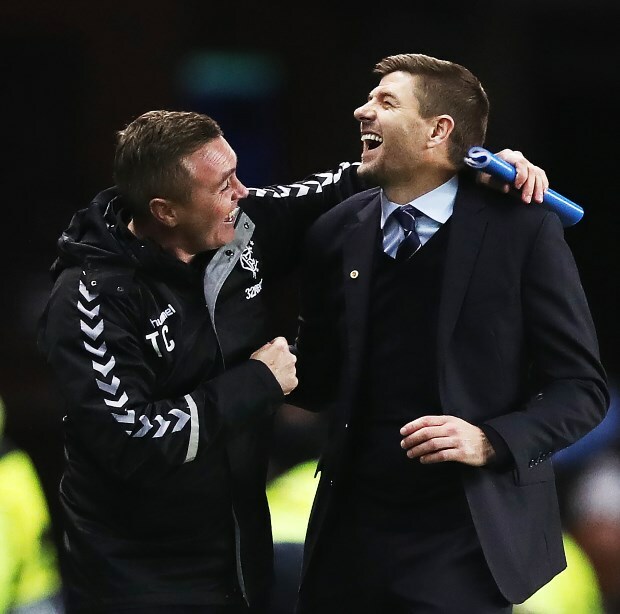 McAvennie thinks that following a week which has seen Gerrard accuse Kilmarnock boss Steve Clarke of lacking in class, Rangers then showed themselves coming up short in the same department. The former Scotland striker said on Open Goal: "They were celebrating, but there's a bit of class about it. "I mean Steven Gerrard's been going on all week about Stevie Clarke's not got any class. "And when you get a big win like that you can't do that [celebrate loudly in the away dressing room]. "I just think it's a wee bit of class, just take your three points and go. "For Derek to go in it must have been bad", McAvennie added. The defeat means Aberdeen are now five points behind Rangers in third, level on points with fourth placed Kilmarnock. Rangers next take on Kilmarnock in a Scottich Cup tie, while Aberdeen are due to lock horns with Queen of the South.